Categories: Bags, Handbags, Tote Bags, WOMEN. 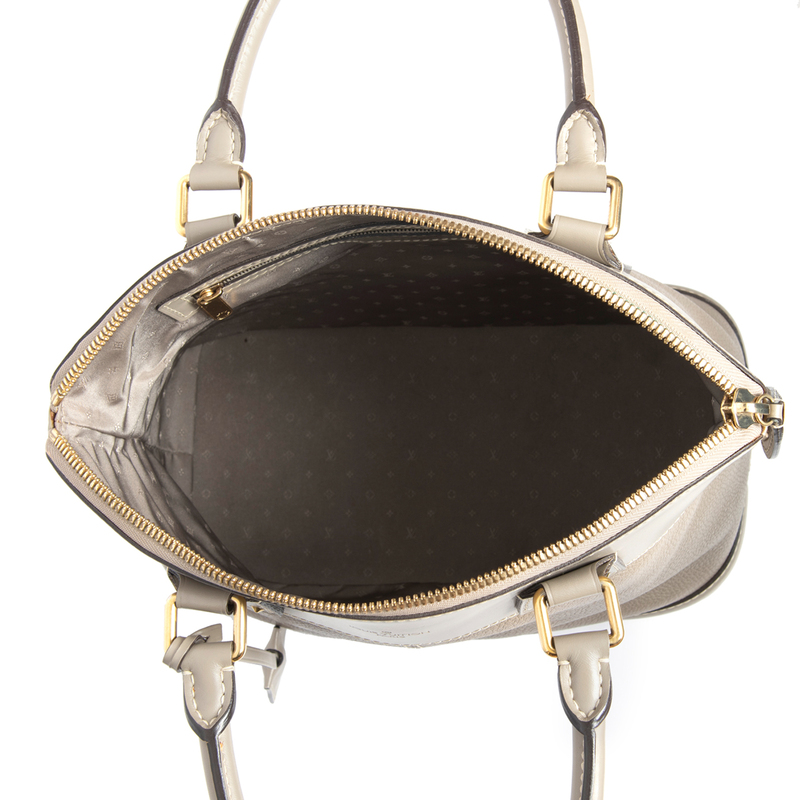 This Louis Vuitton Verone Suhali Lockit PM Bag is one stunning and luxurious bag. It is made of the finest goat leather and has been impeccably handcrafted to create this modern classic style with incredible studded details. 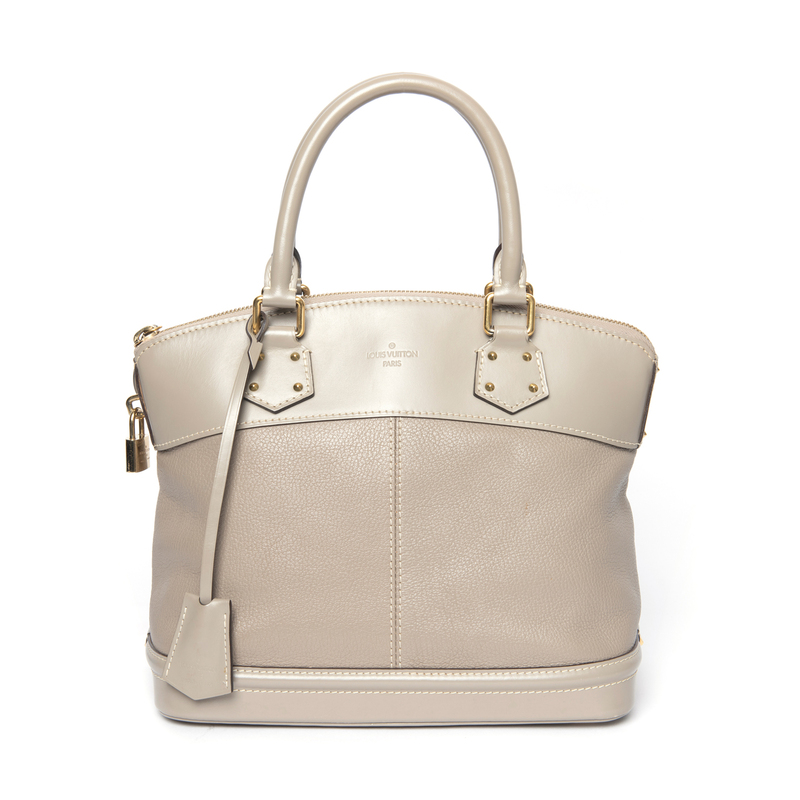 It features contrast stitch details, dual rolled top handles, and a decorative lock and key clochette. 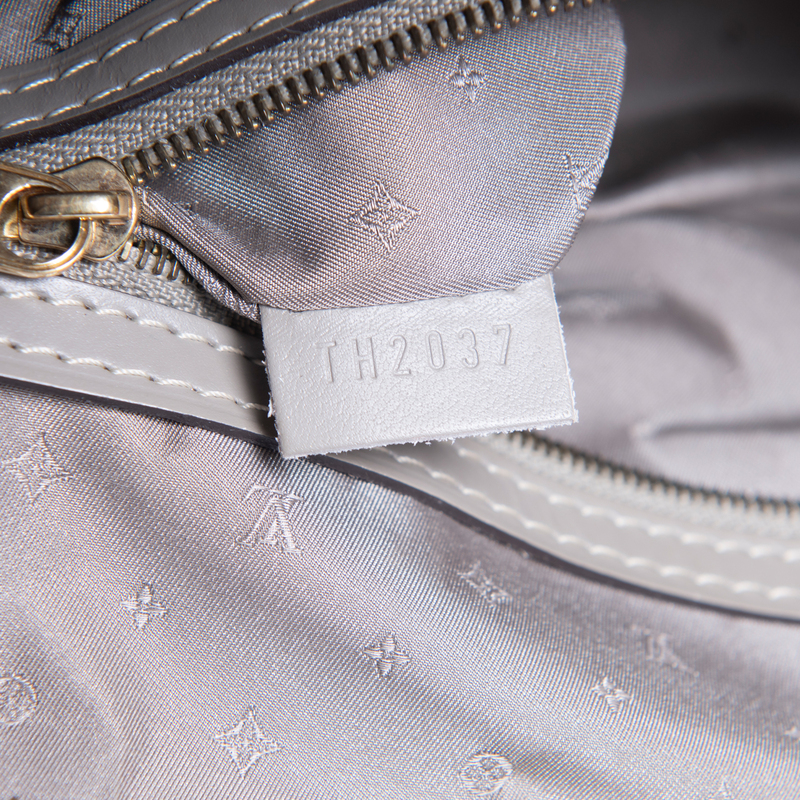 It comes with a tonal monogrammed Mini Lin woven interior lining and secured with a top zipper closure. The deep interior can easily house all your belongings. 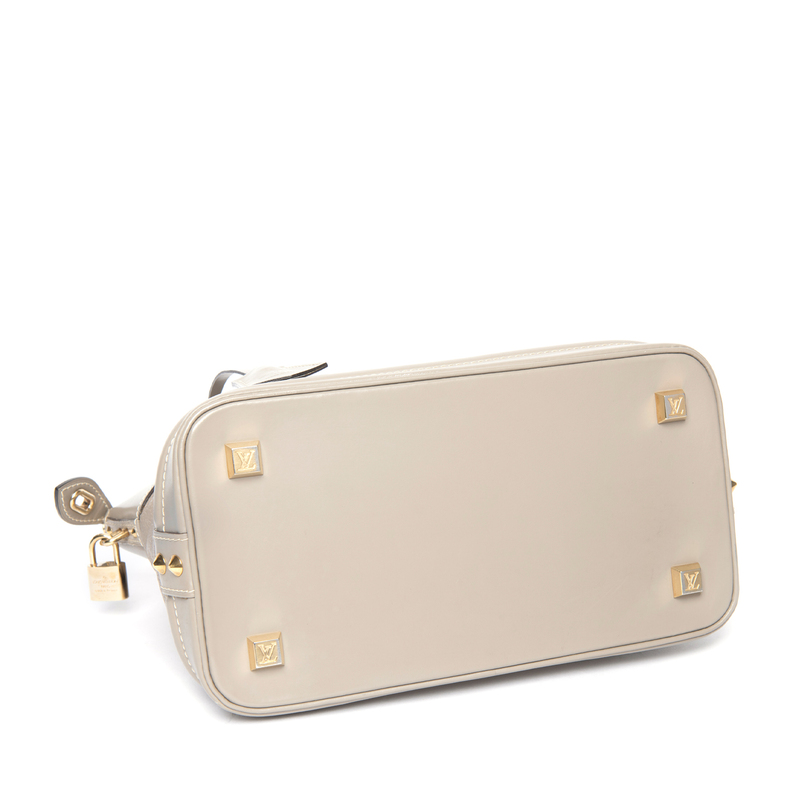 A perfectly elegant bag to complement any outfit! 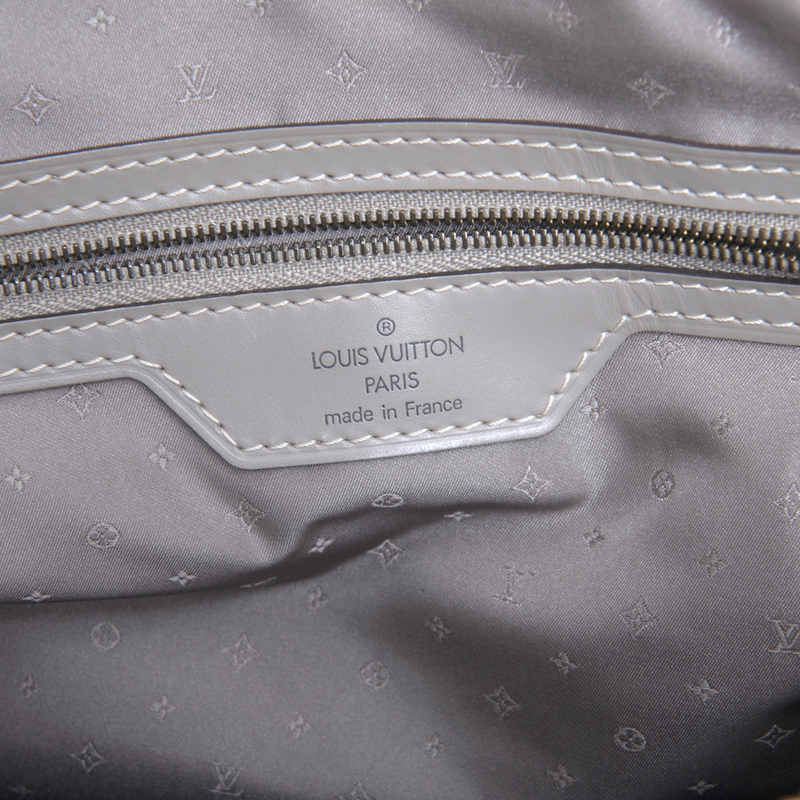 *The Louis Vuitton Suhali collection is made from Suhali goat leather that have been hand-selected from the highest quality goatskins. It is natural grain which have not undergone chemical treatment to maintain the excellent balance between suppleness and durability. Exterior: There is a small blue stain on the zipper pull. Light wear at the bottom corners of the bag. There are minor scuffs on the smooth leather. There is a small brown mark on the textured leather at the front of the bag. Overall, the bag is in excellent condition. Interior: The interior fabric lining is clean and stain free. 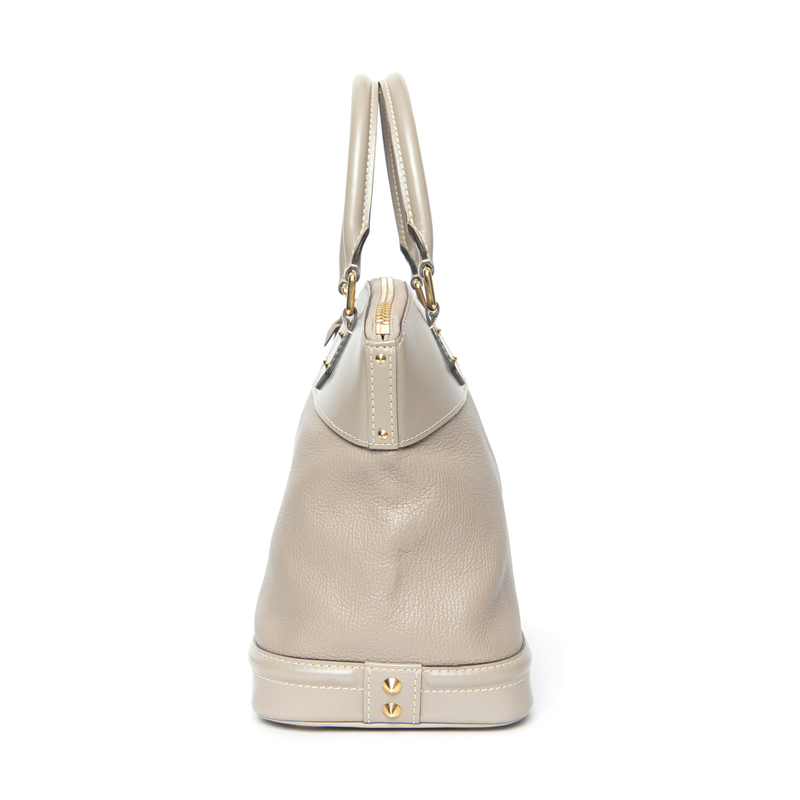 Hardware: The gold-tone hardware has light scratches and tarnishing at the bottom feet of the bag.